Schuster Institute Senior Fellow Tracie McMillan is an investigative journalist whose reporting spotlights topics of economic injustice. She is the author of the New York Times Bestseller "The American Way of Eating: Undercover at Walmart, Applebee’s, Farm Fields and the Dinner Table," in which she went undercover to report on the food production and distribution systems in America. 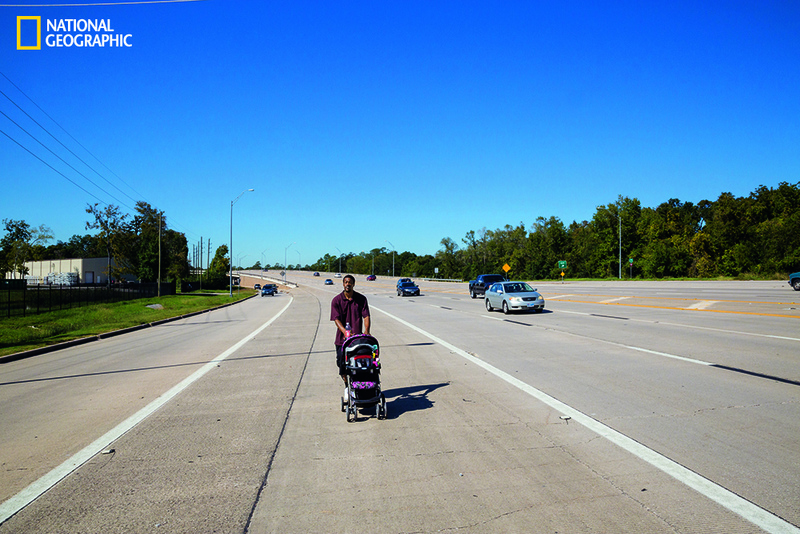 A young father braves the highways of sprawling Spring, Texas, north of Houston, to reach a homeless shelter and a free meal. The suburbs have become a new home for the hungry. The rates of poverty and of food stamp use are so high that advocates and legislators coined the phrase “the SUV poor.” Photo by Kitra Cahana/National Geographic. In two new articles published at National Geographic, Schuster Institute Senior Fellow Tracie McMillan follows the path of hunger into previously "food secure" populations in the United States, describes what life is like for people living with "food insecurity," and explains how nutritious, affordable food is now hard to come by for 48 million Americans. 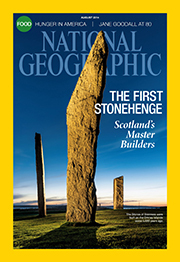 Excerpted from the August issue of National Geographic magazine. In the United States more than half of hungry households are white, and two-thirds of those with children have at least one working adult—typically in a full-time job. With this new image comes a new lexicon: In 2006 the U.S. government replaced “hunger” with the term “food insecure” to describe any household where, sometime during the previous year, people didn’t have enough food to eat. By whatever name, the number of people going hungry has grown dramatically in the U.S., increasing to 48 million by 2012—a fivefold jump since the late 1960s, including an increase of 57 percent since the late 1990s. Privately run programs like food pantries and soup kitchens have mushroomed too. In 1980 there were a few hundred emergency food programs across the country; today there are 50,000. Finding food has become a central worry for millions of Americans. One in six reports running out of food at least once a year. In many European countries, by contrast, the number is closer to one in 20. To witness hunger in America today is to enter a twilight zone where refrigerators are so frequently bare of all but mustard and ketchup that it provokes no remark, inspires no embarrassment. Here dinners are cooked using macaroni-and-cheese mixes and other processed ingredients from food pantries, and fresh fruits and vegetables are eaten only in the first days after the SNAP payment arrives. Here you’ll meet hungry farmhands and retired schoolteachers, hungry families who are in the U.S. without papers and hungry families whose histories stretch back to theMayflower. Here pocketing food from work and skipping meals to make food stretch are so common that such practices barely register as a way of coping with hunger and are simply a way of life. 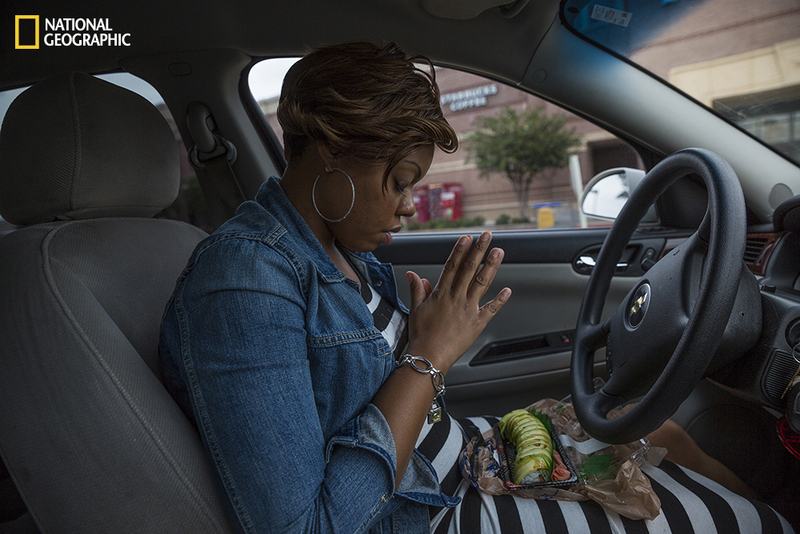 Jacqueline Christian, a home health aide and mother of two in the Houston suburb of Spring, says grace before a lunch of supermarket sushi. With a full-time job that requires constant driving, Christian often buys takeout meals. When food runs out, she picks up dinner for her sons from McDonald’s dollar menu and tells the boys she’s already eaten, “just hoping they leave a piece of the burger.” Photo by Kitra Cahana/National Geographic. To supplement what they get from the food pantry, the cash-strapped Reams family forages in the woods near their Osage home for puffball mushrooms and grapes. Kyera Reams cans homegrown vegetables when they are in season and plentiful, so that her family can eat healthfully all year. “I’m resourceful with my food,” she says. “I think about what people did in the Great Depression.” Photo by Amy Toensing, National Geographic. 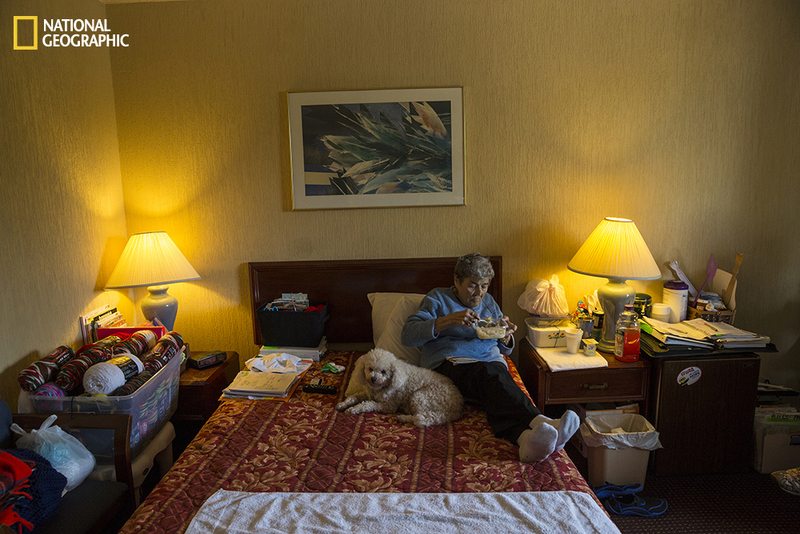 Rosemarie Patronella, 74, eats a lunch of ramen noodles and buttered rice in her room at a Ramada in Houston. Hunger among the elderly is particularly severe in Texas and has risen since 2007. Patronella is a retired schoolteacher who carefully stocks up on food from charities to ensure that she has enough. Photo by Kitra Cahana/National Geographic.